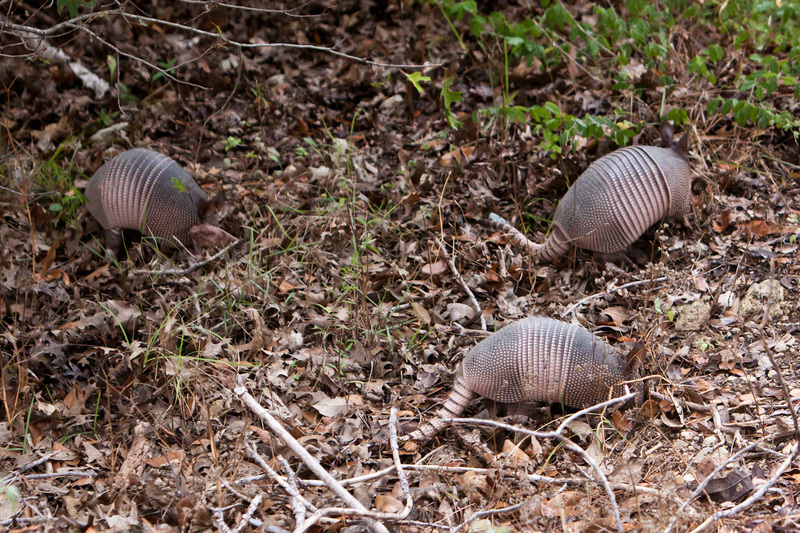 My son spotted these little nine-banded armadillos in our back yard last night so we walked out and took some pictures. 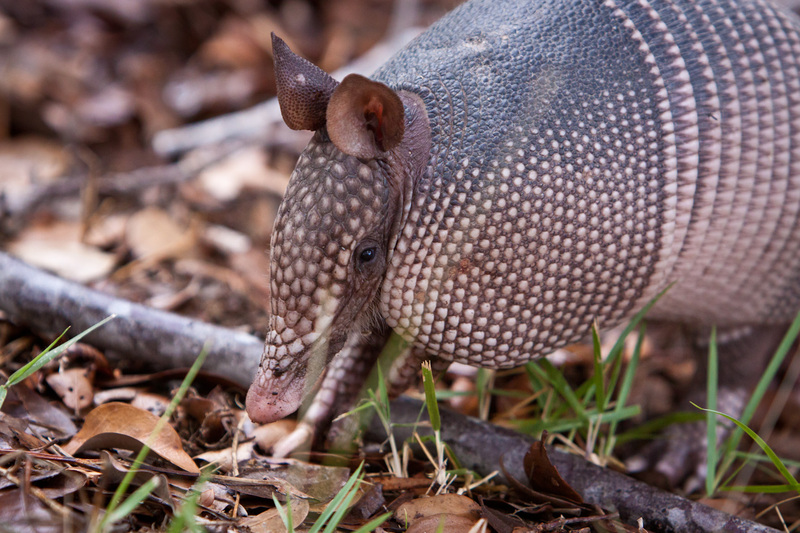 Armadillos don’t spook all that easily — maybe because they have their face buried in the dirt half the time (notice the dirty snout) — so we walked up pretty close and they worked their way toward us. I squatted down to take pictures and after a few seconds one of them stopped rooting in the dirt and walked right over to me like a dog who wanted to be scratched — stopped about a foot and a half from me. I had a “hey this is cool” thought but immediately switched to “I don’t want some wild animal messing with my kids”. I decided to pick it up by the shell like my older son used to do but as soon as I moved he bounded off (Armadillos do a kind of bounding hop when they want to move fast). This entry was posted on July 11, 2012 by michaeltuuk. 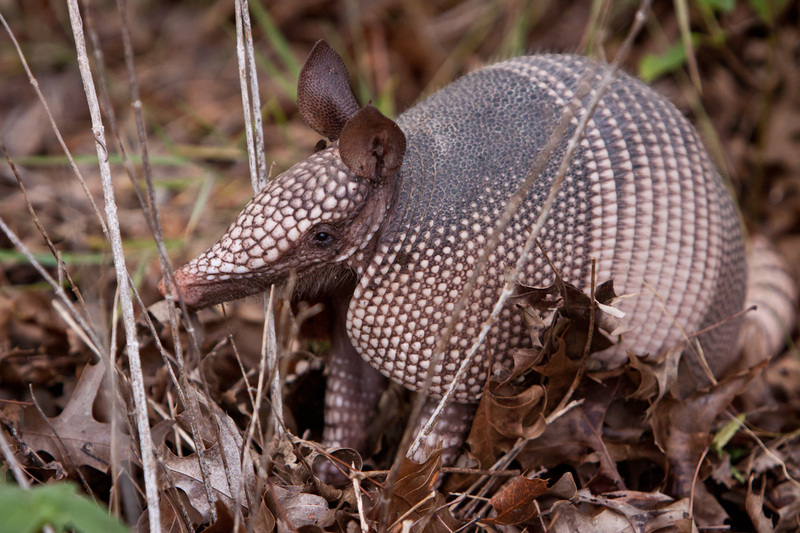 It was filed under Austin, Family, Misc, texas and was tagged with 2012, 50d, 70-200mm, animal, armadillo, armor, austin, canon, tail, texas, tx, wild. Yeah, these little guys never seem bothered by much. I guess it helps having armor you can crawl into. Great captures and detail. The little buggers are pests and so destructive but somehow I still think they’re cute…! True enough. There were four little ones next to my driveway when I got home from work today. They are kind of cute. Also — I kid you not — two of them looked up and cautiously walked to me when I whistled like I was calling a dog. One came right up to my feet and just as I was going to grab him they all spooked and ran off.